Almost all products, specially accessories designed to comfy the Apple gadget world are unveiled during the Macworld, developers at iHome announced that they would be unveiling three new portable speaker systems, to integrate with the Apple’s iPad at the upcoming Consumer Electronics Show, CES 2011. The iDM12 Rechargeable Portable Bluetooth Speaker System for iPad/iPhone/iPod is a simple yet modernly designed micro sound bar for the music lovers, on the go. The gadget comes with a protective magnetic casing, when detached, serves as a stand for experiencing landscape and portrait views. Secondly, iHome rolls out the iDM15 Rechargeable Portable Stereo Bluetooth Speaker system with Speakerphone. The audio systems sports two smartly designed mini speakers for good quality sound. The system comes packed in a protective travel case which also has the ability to transform into an iPad, iPhone or netbook stand while being used. Equipped with the latest Bluetooth technology, the system gives access to gadget owners to connect wirelessly from any Bluetooth enabled device. 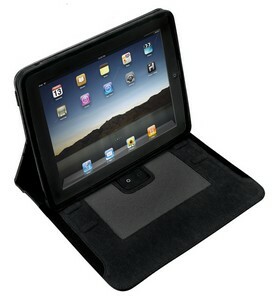 Lastly, the iDM70 Protective ‘Sound Sleeve’ Case and Stand for the powerful tablet, the iPad. The gadget comes packed with Built-in Rechargeable Stereo Speakers, an iPad case, protective silicone sleeve as well as many other features. The gadget has built-in rechargeable flat NXT stereo speakers, providing users to pump up the volume wherever they go. The iPad is a phenomenal product whose popularity continues to soar. The new products we are debuting at CES are the perfect complement to the advanced capabilities and ‘go anywhere’ portability of the iPad, and we believe consumers will appreciate the convenience, sound fidelity and overall quality of each. No word is available on the company regarding prices, but the products are tagged to be available for the users somewhere mid of this year.